I am honored to share with you today my interview with Fay Lamb, author of the recently released romantic suspense book, “Because of Me.” I’ve known Fay for a number of years, and worked with her as a fellow staff member at our church. I have been privileged to be able to read several of Fay’s works. It is Fay to whom I am grateful for introducing me to the American Christian Fiction Writers organization and for becoming my mentor in writing. And it is God to whom I am thankful for sending such a wonderful Christian friend my way. Fay, when did your start writing seriously? Since I’ve been writing most of my life, this is a good question. I didn’t get serious about it until I was in my late twenties. I wrote seriously as a teenager and a young adult. One of the stories I’m still working on was started when I was a teenager. However, in my late twenties I realized that God had given me this desire to put words on paper and some natural ability because He had a job for me to do. I also knew that in everything we do, we are to do it mightily for the Lord. So, leaning upon Him, I began to get serious, to study the writer’s craft, and to produce work that I felt glorified my Lord and Savior. Now that doesn’t mean I haven’t had setbacks, because I have, but God has seen me through them. What is your biggest challenge in writing, aside from finding a publisher? The biggest? I think it was an internal struggle to accept the fact that writing is a ministry and a career. I’ve been busy all my life, working outside the home, raising two sons and a husband, and busy in church with projects others felt were my “calling.” When I finally decided that the only two things in my life that came before my writing were God and my family, writing went to the top of my to-do list. My service to the Lord became a much wider spectrum than the local church. Yes, local church service is important, but sometimes, well-meaning people believe they know where God is leading you when—and here’s the secret—they really don’t have a clue as to what God’s doing in your life. I was listening to others and not to the Lord, and I was miserable. Eventually, God was the One who took me out of those other ministries. That day came when I broke down in front of my pastor and said, “I’m done.” Those were two of the most powerful words I’ve ever spoken, and probably two of the hardest. I don’t like to give up on anything. I hate to let anyone down, but that day I gave it all up. I know I hurt the feelings of people I love, and it destroyed some relationships, but sometimes when we’re working against God’s will for us, He will bring us to the end of ourselves. On that day, that’s where I was. Once I fell into line with the path God had for me, I discovered that God’s main ministry for me is to work with writers at all levels of their career, and the doors to my own writing opened wide. How long have you been a member of American Christian Fiction Writers (ACFW)? I’m not good with dates. When I first became a member, the organization was called American Christian Romance Writers. I dropped out for a time and quickly learned that there is no place better for a Christian writer to learn and to fellowship than at ACFW. I rejoined in 2007, and I don’t think I’ll ever be foolish enough to let my membership lapse again. What was your role in the formation of the Scribes critique group? Well, I just happened to be at the right place at the right time. I was looking for a place to serve within ACFW. I started under the old critique system. That system wasn’t working because individuals were actually put into groups with individuals they didn’t know. Groups were falling apart, and ACFW really wanted to establish some meaningful critique relationships for its members. The newer system started in 2009, and to be honest, I thought, “This is never going to work.” I’m very happy to tell you, that I was wrong. The large group system is one of the best offers ACFW has for its members. In the large group of 275+ individuals, writers are meeting others with the same goals: publication. They come together and the goal becomes: publication for each other. In the large group, friendships are formed, and those friendships often result in the formation of small groups under the Scribes’ system. What is your favorite “how-to” book on writing? Without a moment’s hesitation I would tell any writer to buy a copy of James Scott Bell’s Plot and Structure. I love Mr. Bell’s teaching and especially the fact that he uses movies to make his point. I’m a fan of his LOCK system which is set out in the book as well. Often when I see authors meandering through a story, I suggest the LOCK system. It’s a panster and a plotters best friend because it resides somewhere in the middle of those two extremes, allowing creativity while you’re essentially building a lose outline of your manuscript. What do you see as your most helpful “lesson learned” about writing? Deep point of view. It takes your story to an all new level. It’s the writer’s answer to a camera’s lens. With deep point of view, you get inside your point-of-view character’s head and you experience the story through him or her. The deeper you get into that character’s head, the more your readers are going to feel as if they are that character and not simply on the outside of the story looking in. What is your favorite comfort food? Now, that’s a question I know that you know, Pat. You’ve been to The Moonlight Drive-In enough times with me to know I take comfort in ice cream. Or is it the fried pickles. Maybe it’s their wonderful sweet iced tea. Well, let’s just say all of the above. What is your favorite thing to do when you’re not writing? Well, I tat, but I haven’t been doing a lot of that. I think spending time with friends. I have some gal pals who keep me from being too much of a hermit. I’m able to act silly with abandon around them when we get together on Saturday nights to watch television, discuss our favorite actors—and recently my son gave me a Wii. I suspect I’ll have lots of fun with the gal pals beating up on me in the Wii games. 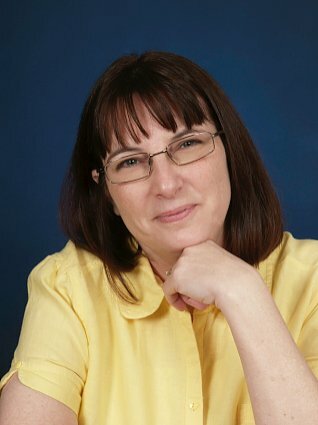 Fay Lamb works as an acquisition editor for Pelican Book Group, offers services as a freelance editor, and is an author of Christian romance and romantic suspense. Her emotionally charged stories remind the reader that God is always in the details. Because of Me, her debut romantic suspense novel is available at all book retailers and Treble Heart Books/Mountainview Publishing, www.trebleheartbooks.com/MVLamb. 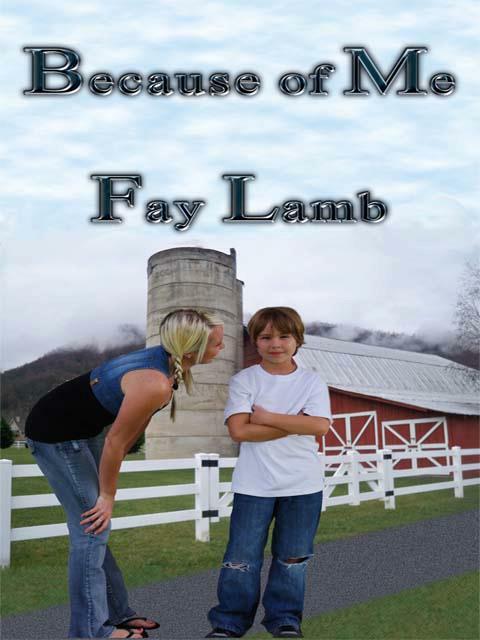 A signed copy of her book may be purchased from her through her website, www.FayLamb.com. Fay’s passion is working with and encouraging fellow writers. As a member of American Christian Fiction Writers (ACFW), she co-moderates the large Scribes’ Critique Group and manages the smaller Scribes’ critique groups. For her efforts, she was the recipient of the ACFW Members Service Award in 2010. In 2012, Fay was also elected to serve as secretary on ACFW’s Operating Board. This book is not your typical Christian fiction. Michael’s fiancée, Issie Putnam, was brutally attacked and Michael was imprisoned for a crime he didn’t commit. Now he’s home to set things right. Two people stand in his way: Issie’s son, Cole, and a madman. Can Michael learn to love the child Issie holds so close to her heart and protect him from the man who took everything from Michael so long ago? This entry was posted on Saturday, February 25th, 2012 at 9:17 AM and is filed under MEET THE AUTHOR. You can follow any responses to this entry through the RSS 2.0 feed. You can leave a response, or trackback from your own site. Good interview Pat and Fay. I am a wee bit prejudiced but I love the book and it’s author very much.